Black Guide Coat Sandable Primer. 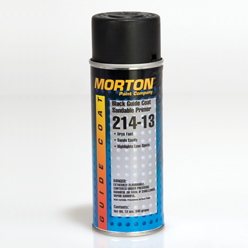 Morton's aerosol sandable guide coat is fast drying and easy to sand. Ideal for highlighting surface imperfections and sanded areas.